On my first visit to Piemonte in 1982, I stayed at Il Giardino di Felicin in Monforte d’Alba. The owner, Giorgio Rocca, a very charming host and great chef, offered to help us make arrangements to visit some of the local producers. 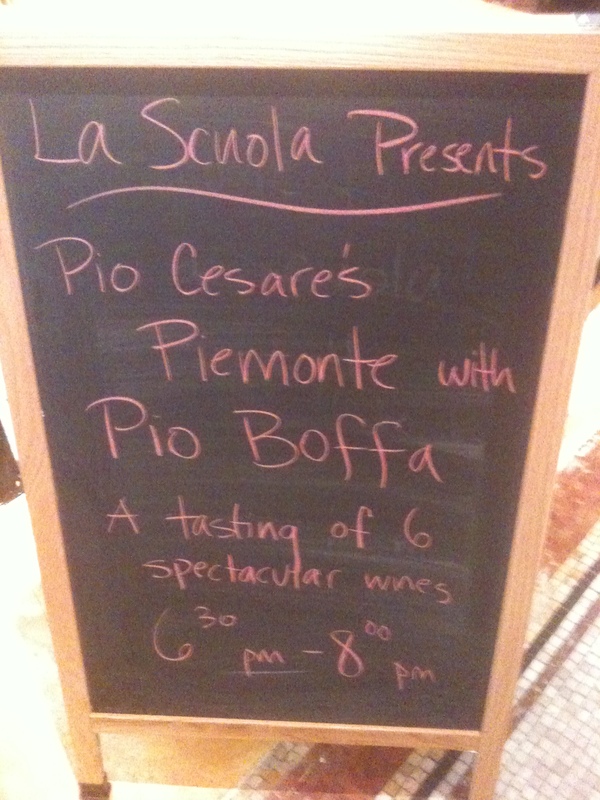 I mentioned Pio Cesare and he quickly made an appointment for the next morning. 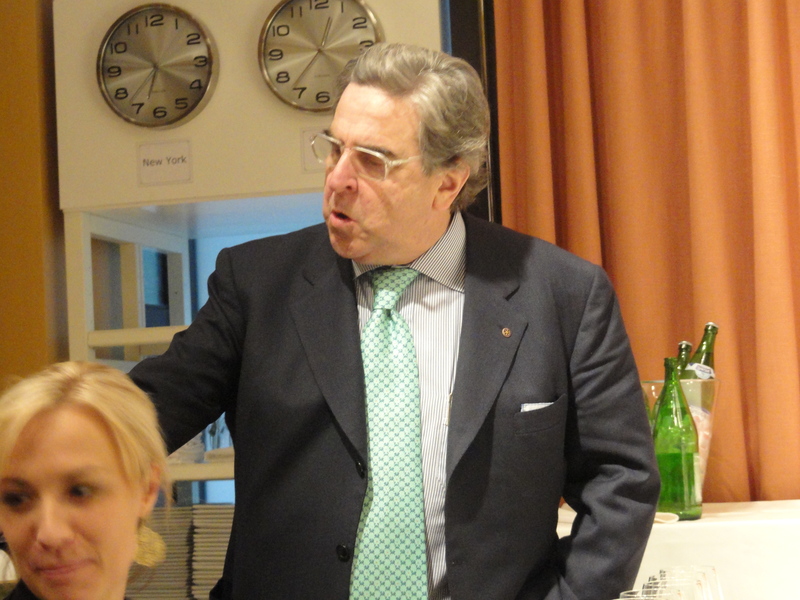 At the winery in Alba, we were met by Pio Boffa, the owner of Pio Cesare. His English is excellent, and we had a wonderful visit and tasting. Ever since then, whenever I am in that area, I try to visit the winery and always receive a warm welcome. 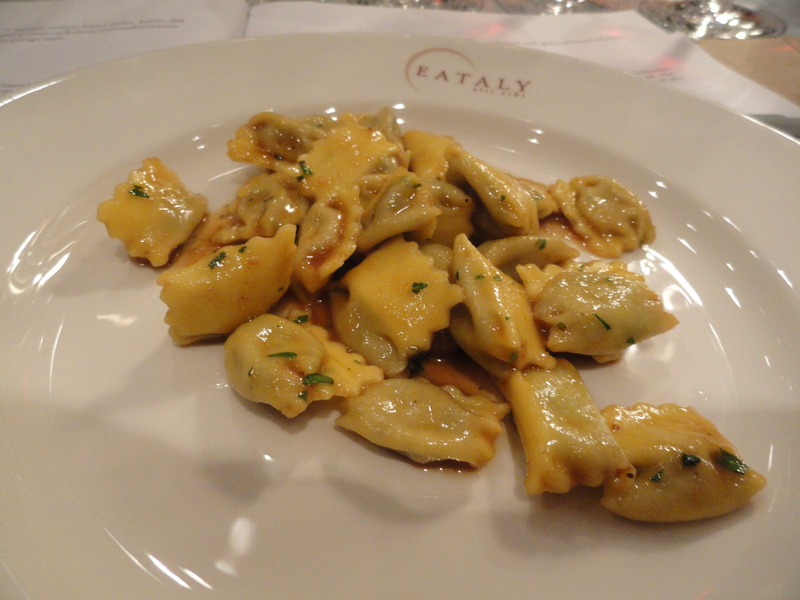 Recently Pio was in New York to teach a class at Eataly and I went to see him. During the class Pio talked about the history of his winery and how he was the only one in the family who followed his father into the wine business which he joined in 1973. Tradition is very important to Pio and he said that he tries to make wine in the same way as they did in the past. The winery is in the same location as it has always been, right in the center of Alba. Pio said that he was very proud of the fact that his father, Giuseppe Boffa, told Pio his wine was the same as he himself had made 50 years ago. Pio hopes that in the next few years his daughter will follow in his footsteps. Ten years ago, Pio’s nephew joined the winery. 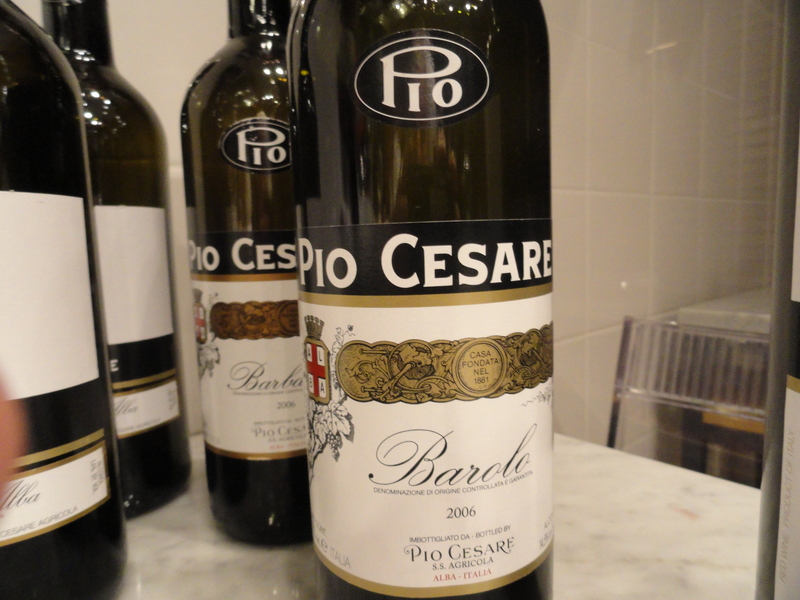 The Pio Cesare winery produces 40,000 cases of wine a year, which according to Pio makes them a middle size producer. In the 1960’s and 1970’s there were only a few producers in the area but now there are many more. Since then, the more traditional and conservative producers have had to fight to keep their share of the market. The “new” producers used different wine making techniques and started to make single vineyard (cru) wines. Concessions have to be made but not at the cost of tradition. 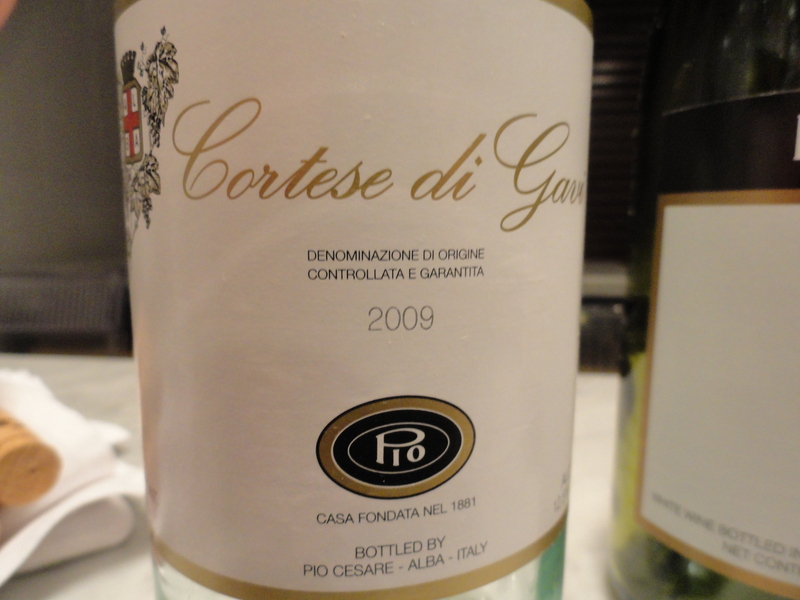 That is why Pio Cesare maintains the same bottle, same label, and same style of wine as in the past. Pio said that white grapes grown in the right terroir and that are allowed to remain on the less produce a wine that is more like a red wine. 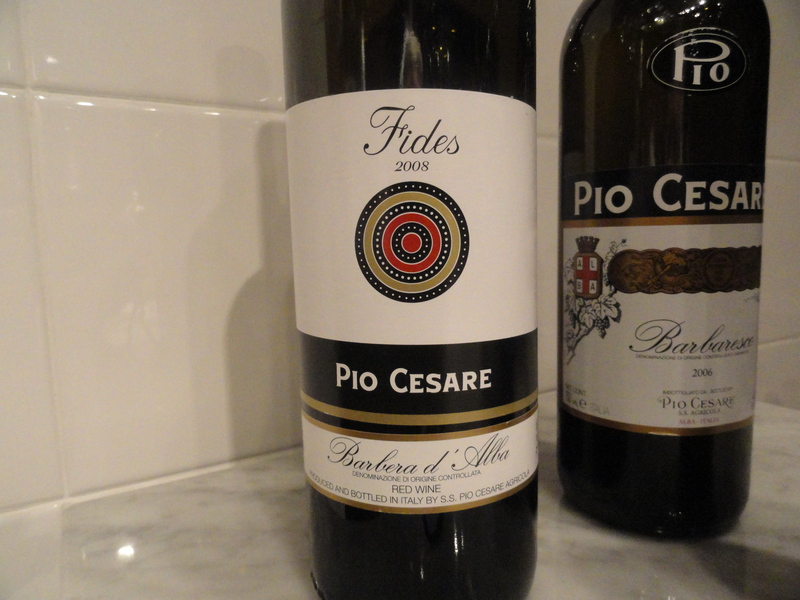 Barbera D’Alba “Fides” 2007 100% Barbera. Pio has a strong feeling for Barbera and called it the wine of the people of Piemonte The grapes for this wine come from a single vineyard in their “Colombaro” vineyard in Serralunga d’Alba. This is a prime area for growing Nebbiolo. The wine is called Fides, Latin for trust and faith. Pio said that this was a true act of trust and faith on the part of him and his father. In fact they both came up with the idea at the same time. He pointed out that if it was planted with Nebbiolo the land would be worth four times as much. Other producers give Nebbiolo the highest position and the most southern exposure while leaving Barbera at a less elevated position. Pio said the all his Barbera grapes have the same position as his Nebbiolo. They used a very old clone of Barbera that is not used any more. Fermentation occurs in stainless steel tanks and skin contact lasts for ten days. Right after being drawn off, the wine rests for 20 months in medium toasted French oak casks: 80% in barriques and 20% in 20hl casks. This is a wine with fresh ripe fruit aromas and flavors, with a hint of spice and good acidity. 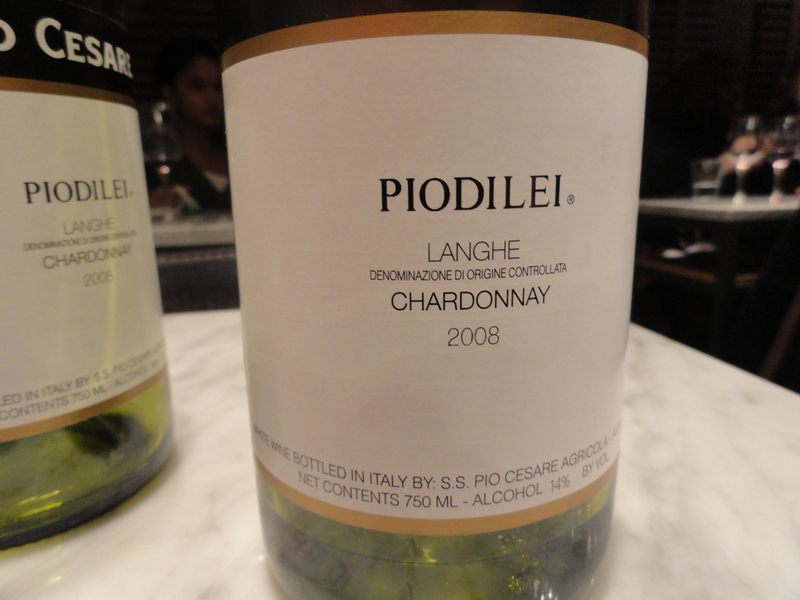 $44 The wine can age and it was a great combination with the agnolotti del plin, “pinched” ravioli that are typical of Piemonte, that we tasted. It was unfortunate that one important producer, that Pio would not name, decided not to produce any Barolo or Barbaresco in 2006. This led many to assume that it was not a very good vintage. Pio said that in his opinion the 2006 vintage was very good for both Barolo and Barbaresco and it was a very traditional vintage for Nebbiolo. Now that the wines have been released it is evident that it was a very good traditional vintage. Pio said that he has tasted Nebbiolo grown in other parts of the world and it did not taste like Nebbiolo. In other parts of Italy they make wine from Nebbiolo but the style is different. None of these can compare with Nebbiolo when it is made into Barbaresco and Barolo- -there is just something about the terroir. 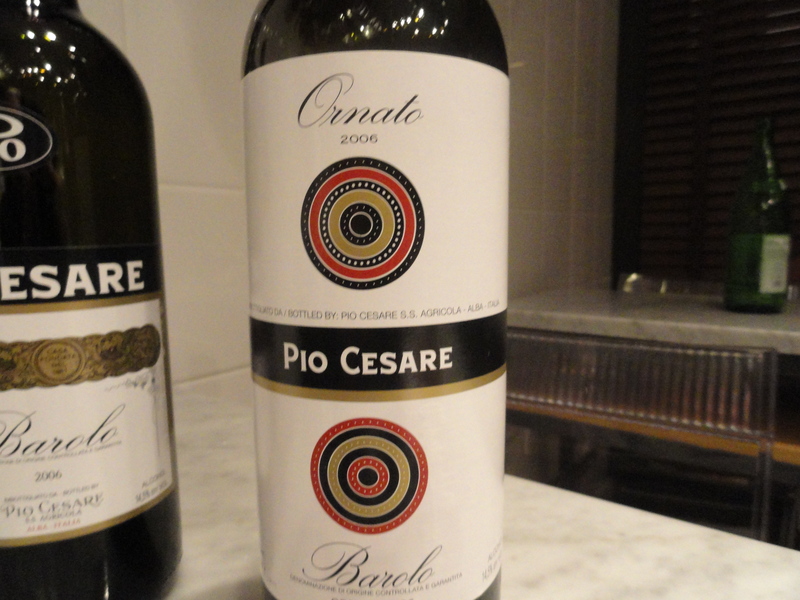 Pio added that for him Barolo was the King of wine and Barbaresco was the Queen. Barolo 2006 “Oronato” 100%. Nebbiolo this is a single vineyard Barolo from very ripe grapes of three different plots of the family owned Ornato Estate in Serralunga d’Alba. Nice tribute to a very deserving winemaker, who has kept the flag flying for many decades now. Kudos to both of you. Hooray – Love this road warrior dude! Ciao Alfonso- yes I love to visit him in Alba! Excellent post about one of Langhe’s finest producers and one of the most gracious as well.